Bring your car or van in to Long Lane Garage and we'll do a straightforward and professional job. We'll give you a detailed talk-through of any faults or issues if we find any and even offer a free re-test within ten working days (subject to availability), whether or not any repairs are put through our workshop. Why an MOT is needed? You are required by law to keep your car in a roadworthy condition if you use the car on the road. 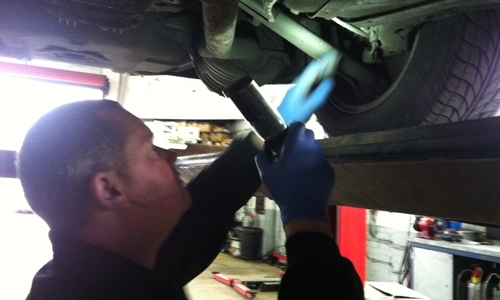 An MOT test checks that the vehicle meets road safety and environmental standards. If your car is more than 3 year old, you required to do MOT each year. Without a valid MOT, your car insurance and road tax get invalidated. The MOT certificate confirms that at the time of the test, without dismantling it, the vehicle met the minimum acceptable environmental and road safety standards required by law. It does not mean that the vehicle is roadworthy for the length of time the certificate is valid. The MOT certificate is also no guarantee of the general mechanical condition of your vehicle. The test doesn’t cover the condition of the engine, clutch or gearbox.